Variety magazine held their annual Tune In! TV Summit this past Tuesday, which hosted various CEOs, industry leaders, television writers, producers and others. During a panel on Multiplatform TV, Brian Robbins, the CEO of AwesomenessTV, a digital media company, weighed in on how the traditional television schedule has become a thing of the past to the younger generation. As television can be watched at any time, on multiple devices, children seem to be unaware that a network programming schedule even exists. Or that actual networks produce the shows. "How do you watch TV?" I ask. "Push, push, ta da!" she says, gesturing to the two remote controls on the table. "Can you be more specific?" I implore. TV used to be about waiting, so much waiting … Waiting a week between the next show or an entire summer for the next season. Waiting until that exact day for shows to begin. Waiting all week for Saturday morning to arrive to watch cartoons … For her, TV is instant. Instant on and on demand. And this sums up where many believe TV is headed. An entire generation is growing up, oblivious to the fact that appointment television is (or was) a thing for many people. Some believe it may eventually end altogether. 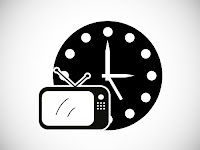 Robbins later expressed shock when partaking in live television viewing recently, signaling that many adults have moved away from scheduled viewing as well. Although younger generations are swaying and changing traditional television viewing habits, appointment viewing and the use of linear schedules are not a thing of the past…yet. To learn more about today's viewing patterns, please see this article.